Courses are available by request and must be reserved 2+ weeks in advance. Please call 1.800.944.7853 for more information. Custom Ski/Snowboards Design and Production Design and build your own custom skis or board in our private production facility. Whistler Adventure School (WAS) is the only school of its kind in Canada and the first school in the Sea-To-Sky Corridor to bring Whistler-focused professional course work into the public realm. Their location gives them an unique advantage, as they are able to utilize the mountains and facilities of the Sea to Sky corridor to create hands-on, immersive courses. 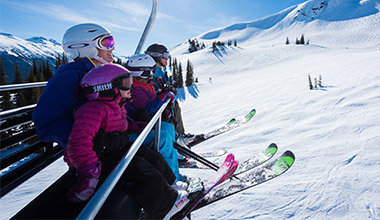 As an example, you can build your own custom skis or snowboard while vacationing in Whistler. Join the WAS production expert in their private production facility to build your skis or board from scratch. The project is fully customizable - pick you own length, style, graphics and dimensions for the ideal ride. 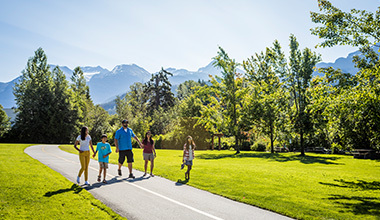 The Whistler Adventure School campus is located in the Function Junction neighborhood of Whistler, just 10 min south of the central village area.